As the pressure mounts on Congress to pass gun control legislation in the wake of the Las Vegas shootings, members of the Wisconsin congressional delegation are already moving to enact a federal gun control bill! 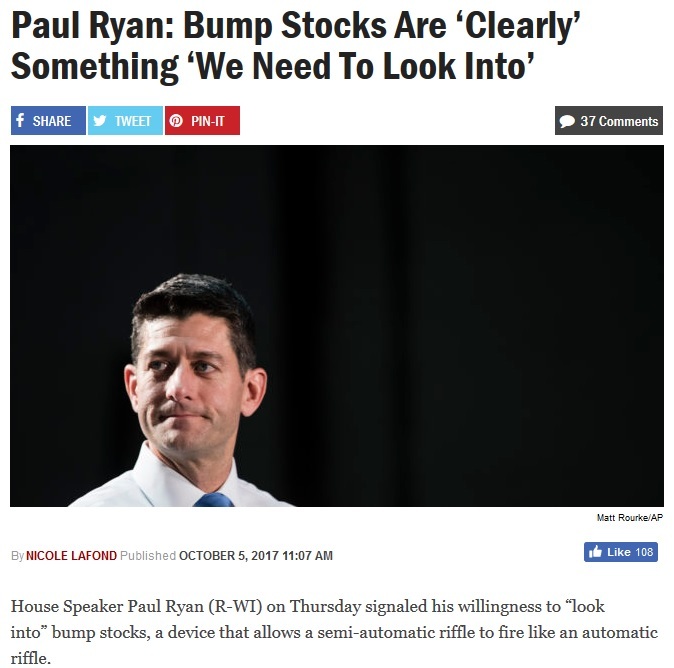 So it doesn’t matter if you like bump fire stocks or not, this political battle has nothing to do with these gimmicks, and you need to make sure Wisconsin’s congressional delegation understands that. Here in Wisconsin, Senator Ron Johnson and Senator Tammy Baldwin are leading the charge for gun control and blaming you and me for what happened in Las Vegas! That’s why we can’t give an inch, and that’s why Wisconsin’s congressional delegation needs to hear from you RIGHT NOW! Your message is very simple: gun owners in Wisconsin will not support any gun control of any kind, and we will hold any legislators who vote for it accountable. And when you’re done, please become a member of the Wisconsin Firearms Coalition. As we continue our push for Constitutional Carry in Madison, we need all hands on deck to also help battle gun control in Congress. So please get involved right away! Meantime, help us keep the pressure up on Wisconsin’s congressional delegation! P.S. Wisconsin Senator Ron Johnson and Senator Tammy Baldwin are leading the charge in D.C. to try to pass a gun-control bill in the wake of the Las Vegas shooting. They, along with the rest of Wisconsin’s congressional delegation, need to hear from you right away! Contact your legislators using the information above, and then get involved with Wisconsin’s ‘No Compromise’ gun rights group right away!